Majorly down-turned and asymmetric, The Ocun Diamond is designed for high performance. The lace system follows the shape of the foot to ensure a precise fit, as well as aid pressure distribution and power transfer through to the toes. This leaves you with a well-fitting shoe that excels on edges, pockets and the most technical micro-features; a great kick for sport climbs. The original winning compound, Vibram XS Grip is a rubber that’s especially engineered for climbing shoes. 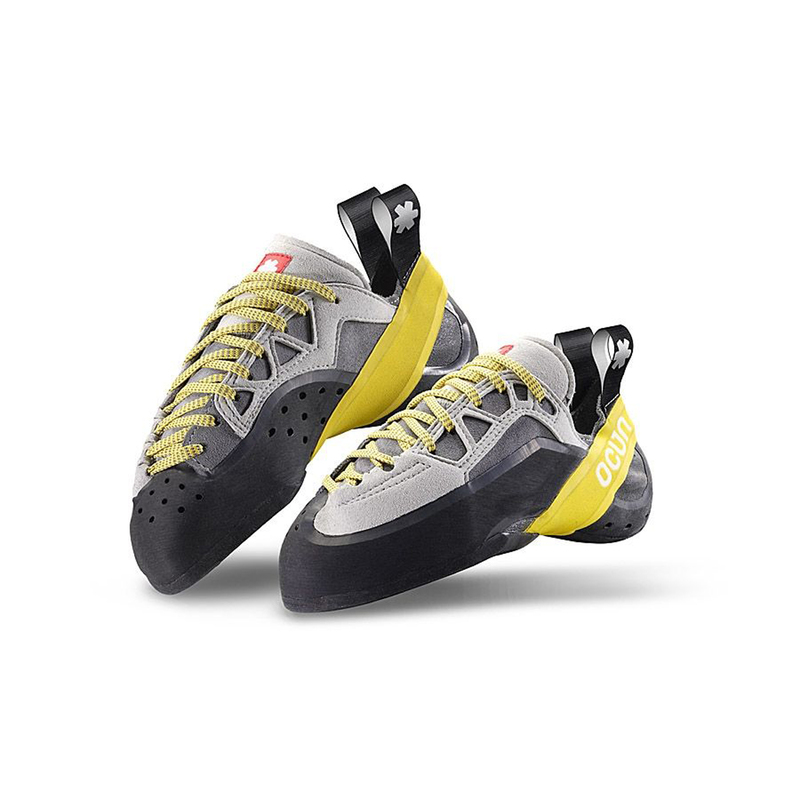 It provides excellent stability and support while giving you incredible grip on all types of rock, as well as longevity. All Ocun shoes have a seamless heel, meaning that is hasn’t been cut or stitched, at all. 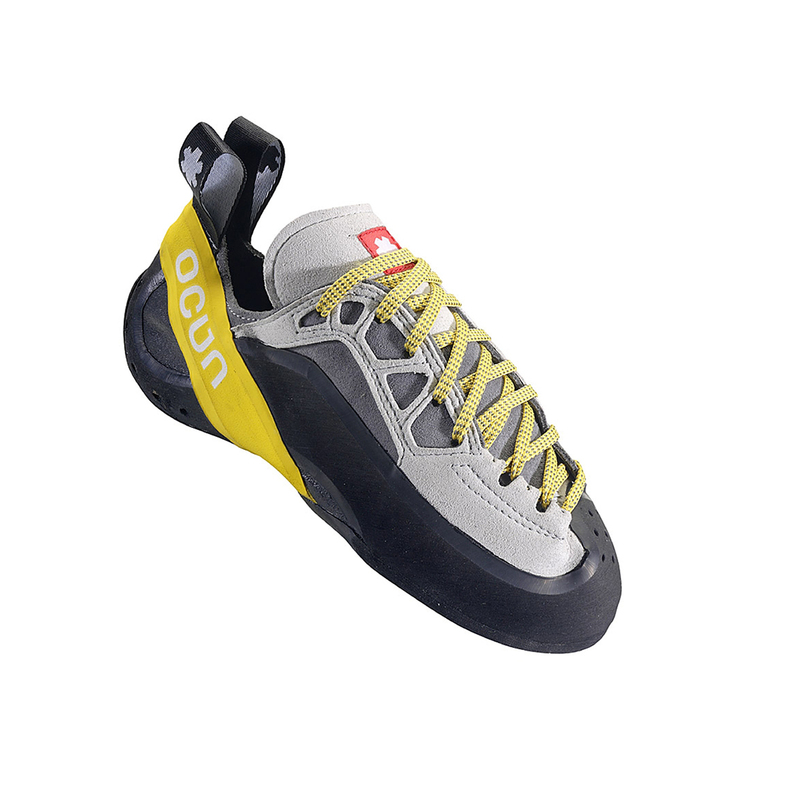 This may seem like a pretty simple concept, but it provides unparalleled comfort and fit to the heel area, meaning you can climb for longer and heel-hook in complete comfort. optimum facturing, sensibility and strengh.